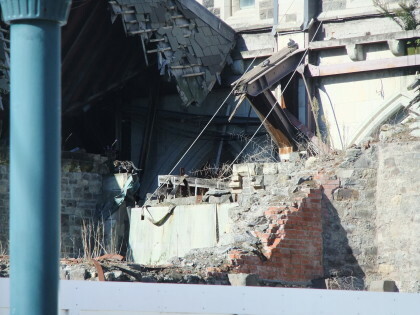 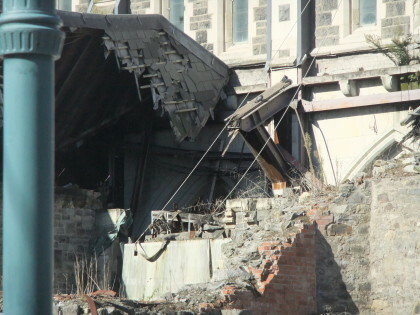 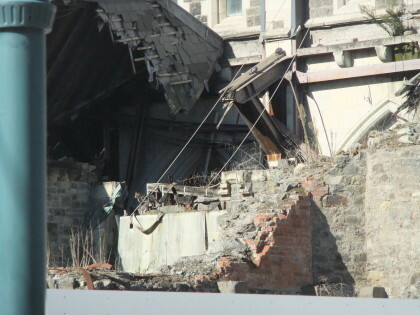 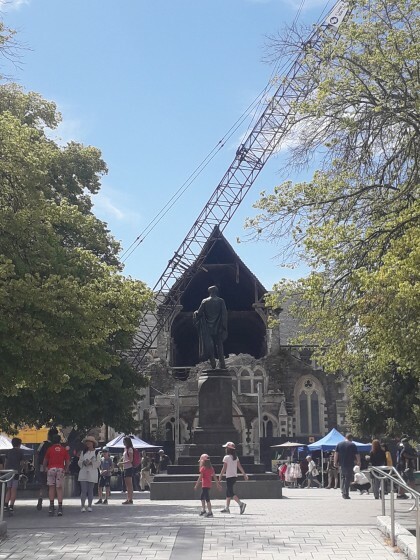 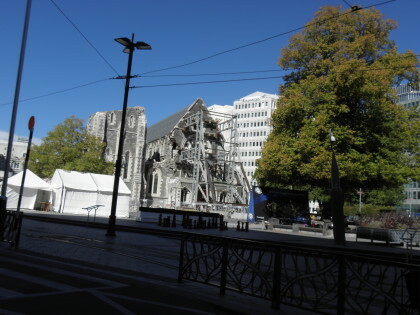 ChristChurch Cathedral with structural steel supports. 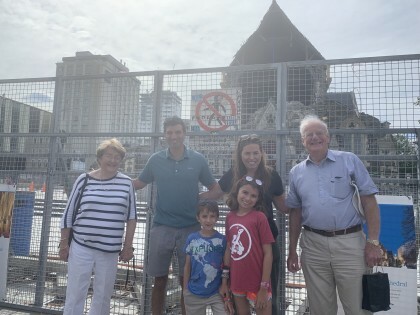 Reuniting with Bishop Harper descendants in Cathedral Square. 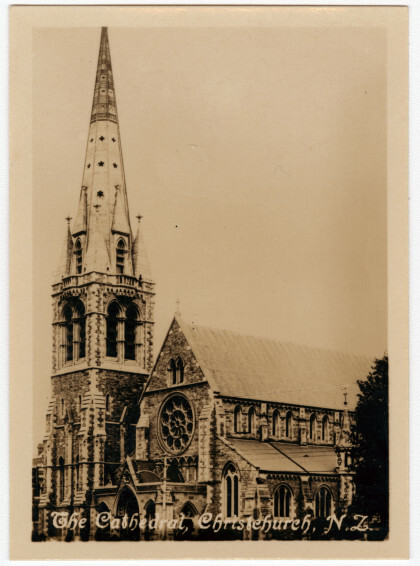 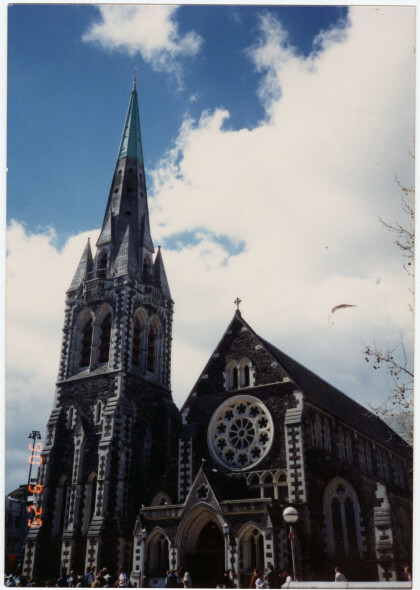 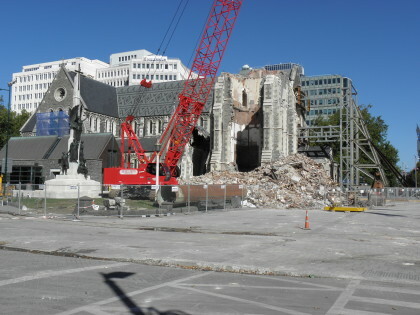 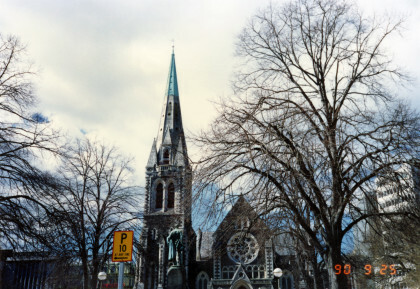 ChristChurch Cathedral in Cathedral Square. 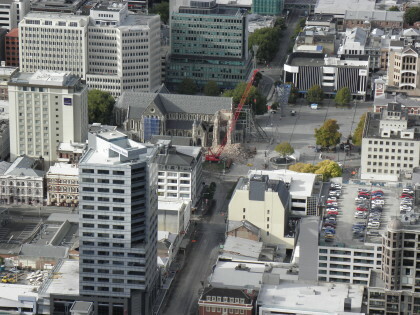 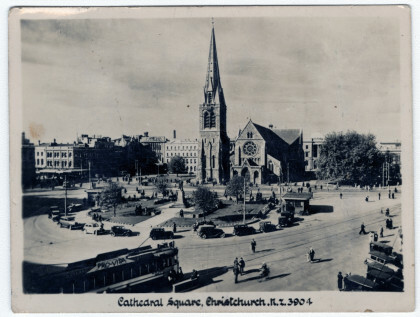 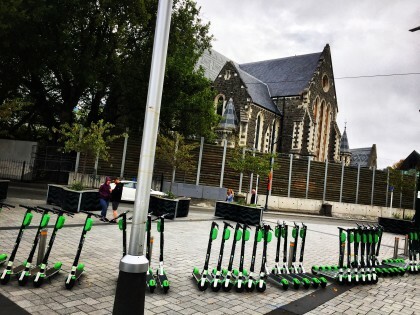 Cathedral Square with ChristChurch Cathedral. 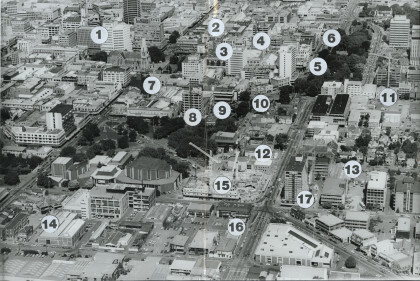 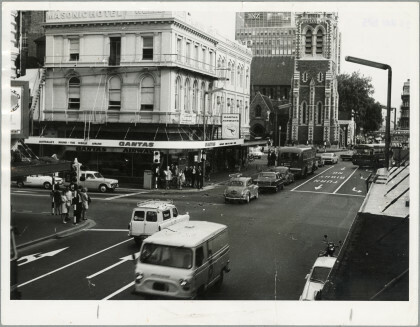 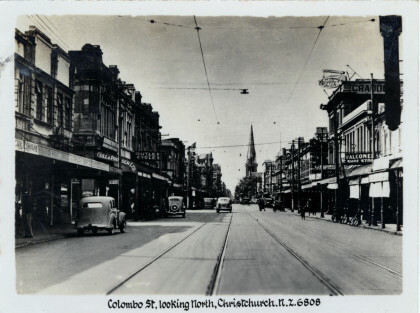 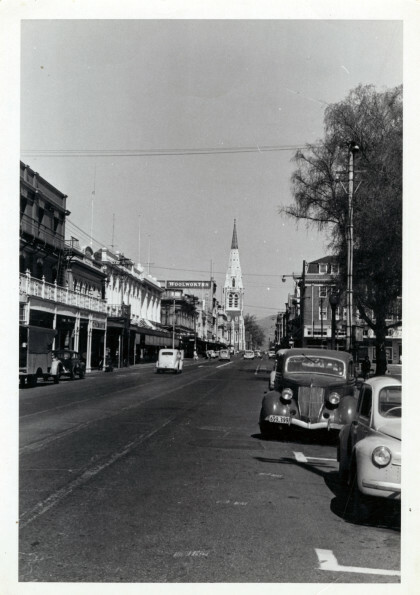 Looking north up Colombo Street towards Cathedral Square. 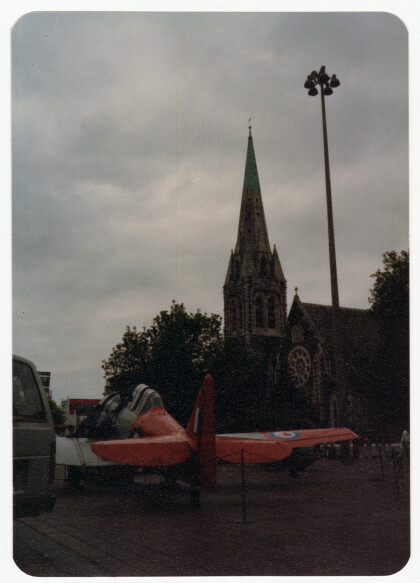 RNZAF plane in Cathedral Square. 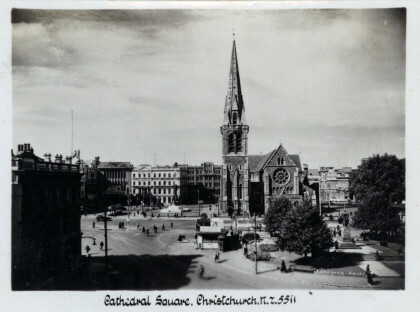 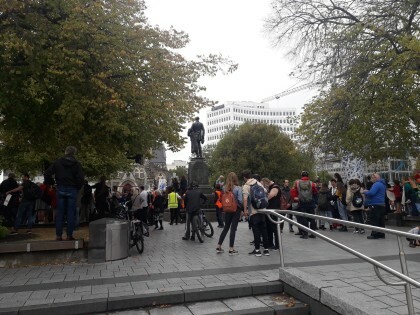 People sitting on steps outside the ChristChurch Cathedral. 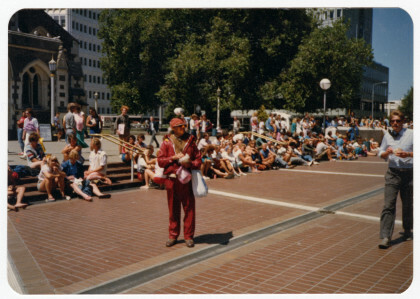 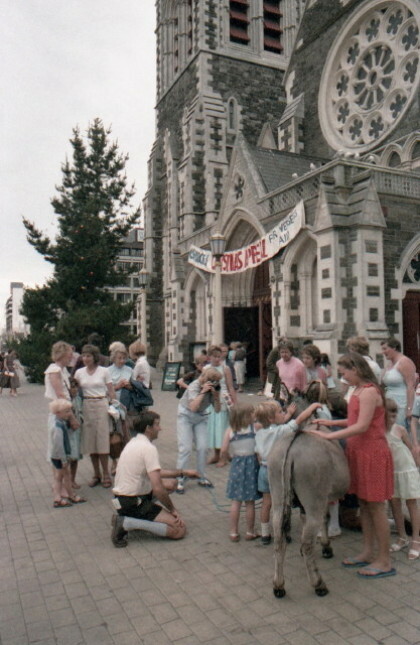 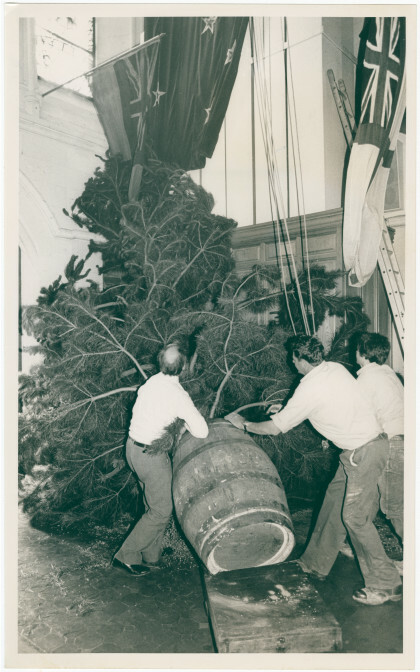 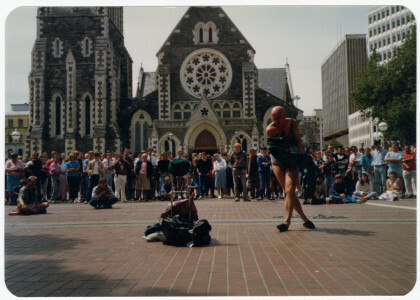 Nativity play outside Christchurch Cathedral, 1984.